Overall Dimensions: 42 3/4"H x 26 3/4"W x 25"D.
Breathable mesh fabric seat helps provide long-lasting, all-day comfort and support. Find your ideal sitting position. Chair is loaded with ergonomic pneumatic adjustments. Tilt adjustment and lock lets you easily adjust the chair’s tilt angle. 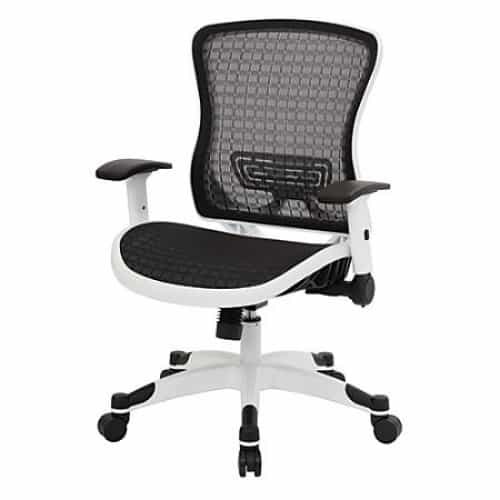 Really cool looking and affordably comfortable office chair. Fits in perfectly with my lifestyle and work.